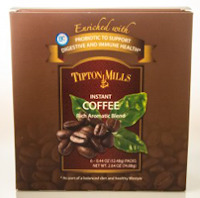 Frugal Mom and Wife: Free Sample of Tipton Mills Probiotic Coffee! Free Sample of Tipton Mills Probiotic Coffee! Simply sign up for their emails and they will send you a free sample.